Nasser Al-Attiyah nabs another stage win, stretching overall lead. 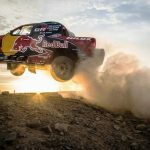 January 11, 2019 Andries Van der Walt	Comments Off on Nasser Al-Attiyah nabs another stage win, stretching overall lead. 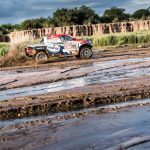 -In the car category, Nasser Al-Attiyah of Toyota Gazoo Racing Sa again dominated the fourth stage with a time of 3 hours and 38 minutes. 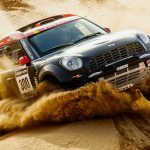 Yesterday’s stage winner Stéphane Peterhansel of X-Raid Mini Jcw Team had yet another strong performance, only just under 2 minutes off rival Al-Attiyah’s pace, followed by Jakub Przygonski of Orlen X-Raid Team, third. -Al-Attiyah has now developed just under a 9 minute lead in the general standings over Peterhansel. The Qatari said: “I’m quite happy today. We won the stage, but there is perhaps still a faster car out there. It was very important to catch Stéphane and stay with him all the way. Yeah, I’m quite happy. Everything is ok – there are no problems. Later we will check the car. There is still a long way to go. Me and Stéphane we are in the lead now and I’m quite happy, we’ll just keep going like this”. 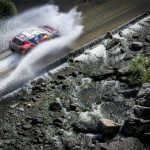 -Sebastian Loeb (Red Bull privateer – PH Sport) suffered 30mins of lost time after suffering three of punctures, but recovered well placing fifth, and sitting just over 12 minutes off the pace. 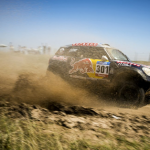 -Carlos Sainz recovered well from yesterdays suspension disaster, which cost him his shot to reclaim his title, remaining in the top 10 after the fourth stage in 7th, ahead of fellow X-Raid Mini JCW Teammate Cyril Desires, eighth. -In the bike category, Ricky Brabec (Honda) set a cracking pace in the marathon stage with a time of 3 hours and 40 minutes. However, the Red Bull KTM Factory Racing Team proved to be formidable opponents and were hot on the American’s heels with Matthias Walkner nabbing second ahead of Toby Price and Sam Sunderland, fourth, conceding just over 11 minutes from the lead. 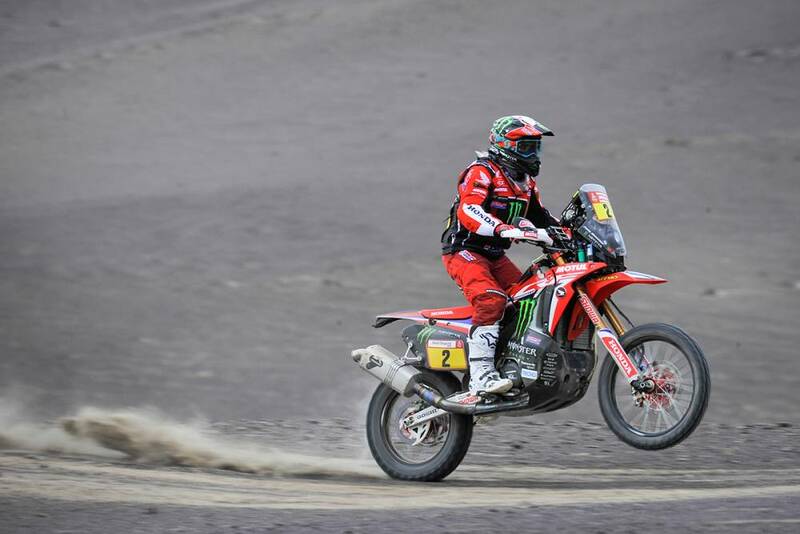 -Defending champion Matthias Walkner, was unrelenting in the final push for the finish in Tacna, but a heavy landing after a jump resulted in a suspected ankle injury in the last 50kms of the marathon stage, shrouding tomorrow’s stage with doubt for the Austrian. -Walkner revealed: “My ankle feels quite hurt. Fifty kilometres before the end I did a big jump and landed heavily. First I was thinking, ok, maybe it’s broken. It’s really painful now, but we will see how it is tomorrow and I’m going to put some ice on it. It was ok in the end [for the marathon stage], because I didn’t crash and the bike is running well, plus we are like a big group and a team and we help each other, so everything is good”. -In the quad category, Nicolas Cavigliasso of Drag’on Rally Team took the stage win with a time of 4 hours and 52 minutes ahead of Jeremias Gonzalez (Ferioli Ferioli Racing Team) and Alexandre Giroud (Team Giroud), third, 7 minutes and 35 seconds off the pace. 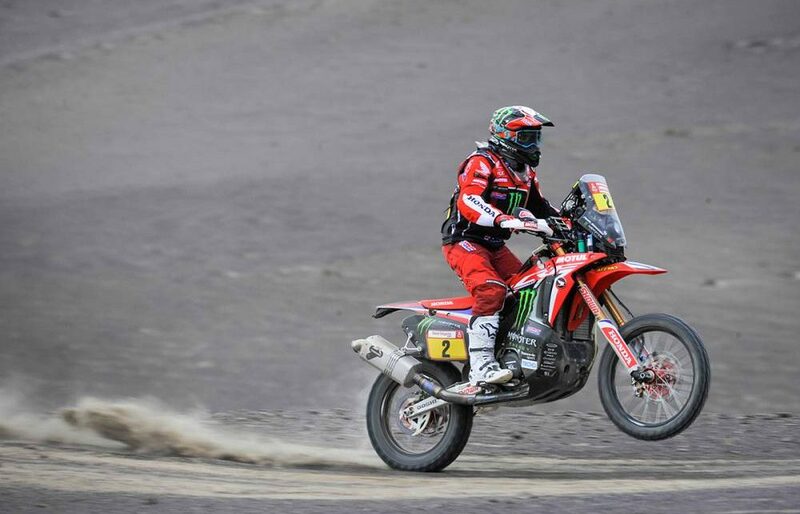 -In the SxS category, two-time Dakar quad race winner Ignacio Casale is holding steady pace, keeping in the Top 10 after four stages. 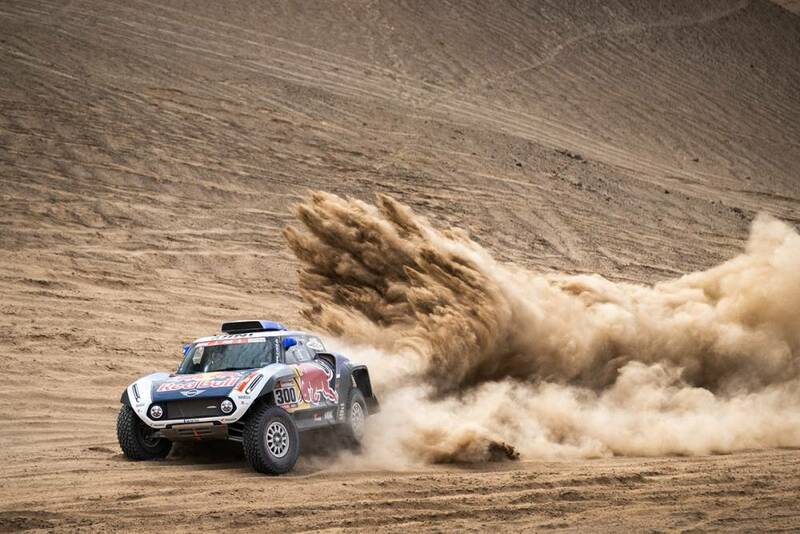 -In the truck category, the Kamaz Masters dominated the marathon stage as Andrey Karginov took the win with a time of just over 4 hours and 9 minutes, with Martin Macik (Big Shock Racing) trailing by 1.5 minutes. -Fellow Kamaz Master and race leader Eduard Nikolaev recovered from a problem on the 27km mark, clawing his way back to third ahead of fellow teammate Dmitry Sotnikov.